Cold Steel FGX Cat Tanto CS92FCAT. 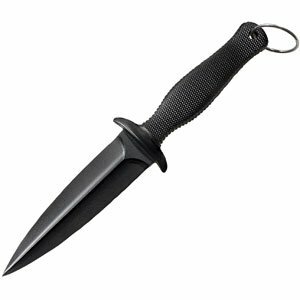 Here we have the all new, pure Black Cold Steel FGX Cat Tanto Blade 92FCAT. Considered a hidden weapon by Samurai warriors, these single edged weapons were popularized through their simple effectiveness. Do you own Cold Steel FGX Cat Tanto CS92FCAT? Tell us about it! Have a question? Ask!